How Can you Bridge the Skills Gap? Few industries have failed to feel the effects of the skills shortage. But employers themselves may be key in addressing the gap: helping to not only develop necessary soft skills in school leavers, but also open students’ eyes to opportunities, industries and technologies that will be available to them when entering the jobs market. How? With careers advice services stretched and many schools now unable to provide or fund the traditional two weeks of work experience, it’s vital for employers to start thinking of ways to connect with schools in their community. From offering a careers talk to running an employability or interview workshop, there are many ways employers can get involved and help prepare school leavers for the world of work. Why not consider opening up your office to school pupils, giving them the opportunity to speak to team members and learn more about a career in your sector. Speaking to a variety of employees (for example apprentices, graduates and those who didn’t go into further education), students can learn about a diverse range of career paths and doors into your industry. By opening up students’ eyes to job roles they may previously not have considered, and connecting students to potential work experience and career opportunities, these chances to interact with and learn from local businesses can be invaluable to both the jobs market and school leavers themselves. If you’ve had a great experience supporting young people in experiencing the world of work, why not encourage other businesses to do the same? There are still preconceptions about opportunities such as apprenticeships and work experience that you may be able to help change. Become part of the dialogue about the positive impact of these schemes; demonstrate that they make business sense in addition to offering school leavers and other young people great opportunities. For example, you could give your apprentice or placement student the opportunity to share their experiences and explain what skills they’ve learnt in a blog, company Facebook page or at an event. With tighter careers resources in schools, it’s up to you as an employer to set the wheels in motion and reach out to education providers in your community to see how you can get involved. You could also approach a local education charity which will act as a bridge between your organisation and local schools. We’re not going to change the skills landscape overnight. But if employers forge greater connections with local education providers, we can open young people’s eyes to opportunities they might not find out about in school. And we can be part of a conversation which positively promotes apprenticeships, internships and vocational training to our fellow business leaders. 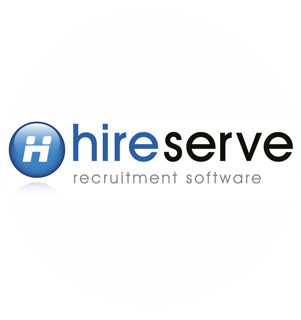 Established in 1997, Hireserve ATS is an Applicant Tracking System trusted by in-house recruitment teams across the world to manage their recruitment processes online. Behind Hireserve ATS lies a powerful combination: Twenty years of HR, recruitment and technical experience, coupled with a team of forward-thinking and inventive developers who are always seeking new ways of innovating recruitment technology and processes. mobile-optimised careers site to bolster your employer branding and enhance candidate attraction. You’ll be able to build your own reports, to answer the questions you really need to. Using Hireserve ATS means you’ll have access to thousands of configuration options, so you can tailor the system to meet your processes spot on. And, most importantly to us, you’ll get a team of people who are passionate about helping you get as much as possible out of your recruitment technology. Hireserve: Recruitment software with a human touch.